Living in Love, co-creating the New Earth. Today’s sharing follows on from the Lunar Eclipse Shift of January 20-21st 2019, with the successful anchoring of the next level of ‘ascension frequencies’ into the planetary energy field of Earth, also with an extra ongoing supportive rose-white light flow through the nebula Messier 27, which is uplifting the Earth field vibrations while keeping the impacts as softened as possible. In the previous post, the beautiful Sirian and Pleiadian energies and light-beings who aligned high frequencies leading into and through the Eclipse were focused upon, and prior to that, in Messenger 9 & Lunar Eclipse, a message came from star family that ‘The Navigator is on board.’ This was referring to another star system and light beings involved in a more background role with steering in the high light energies, that of the star Canopus, second brightest star in the sky, visible from the southern hemisphere and more southerly latitudes of the northern hemisphere (recorded in Egyptian myths as Kha Nub, the Golden Floor, and in Greek myths as the navigator or pilot of the legendary Argo/Argo Navis, the ship that sailed in the quest for the Golden Fleece, which can be viewed as a metaphor for divine light expressing through the ‘goldenprint’ of life, and creational energies aligned to and through the principle and vibration of Divine Order). Divine Order vibrates through the 8th Dimension as the original pure codes of life, expressed through the sacred geometry of the 8-Point Star, which Canopus exemplifies, and radiates freely again following a light transformation that occurred in its local galactic region (during 2017, in Earth time translation, which you can read about in The Light of Kamura). The star Canopus, radiating as an 8-rayed star. To attune with the next level of the ‘ascension arc’ that is now being grounded and opened, flowing on from the Eclipse Shift, we’ll return to the Eclipse itself for a moment, with the gorgeous lunar photo below, taken by a friend in Wales, UK, and another beautiful new film from star sister Melissa Peabody at myfirstcontact.net, which includes a very special visible light/energy effect appearing around the Moon. Total Lunar Eclipse photographed by ‘Kim in Wales’, UK, Jan. 20th 2019. Melissa’s Film 34 shows the Eclipse as it appeared from San Francisco, preceded by an awesome amber lightship display…followed by an array of light energies filling the sky two days later, showing the Moon within a soft ring of spinning rose-golden light frequencies. The subtle spinning of rose-gold light around the Moon visible in Melissa’s footage two days after the Lunar Eclipse shows how the ‘next level of light wave’ that aligned and anchored through the Eclipse is ongoing (eclipses act as a frequency-focusing lens), and the same energy is visualized wonderfully in the music video at this link. Star Family send (more) love and thanks to the many thousands on Earth who consciously anchored this light potential through their embodied forms, catalyzing with higher dimensional family and friends the ignition point for the next stage in Mission Earth Ascension. The overviewing Galactic Council, and the Ascension Council which acts as a focus group within and through it, continually make adjustments (course corrections and expansions) as potentials shift, to guide and support the momentum of planetary and stellar (and galactic) optimal shifts. As they come from a perspective of universal empathy and compassion, one of the Council’s dedicated purposes is to bring ascension processes through their various stages (which are both general yet unique to each planetary and stellar situation) as smoothly and peacefully as possible (and although things may seem pretty chaotic and stressed on this planet, the ride could be a lot bumpier if not for constant clearing and stabilizing behind the scenes). 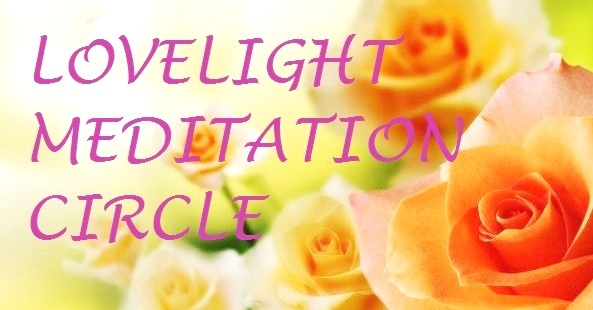 They ask for this to be reaffirmed now, coming into the next stage of beautiful potentials, with the advice to align as unconditionally in love, trust, kindness and forgiveness as possible, personally and as beacons of loving frequencies within the collective. To know that we are held, this world is held, unshakeably and lovingly, in every moment, all the way. They have given some lovely presentations of their light and various cooperative energies arriving and communing around Canopus this last week, and ask to start with this one; three orbs of different colours that triangulated around Canopus on February 5th. Three star family groups stationed around Canopus as lightships arrived (many flew through the Southern Cross, which contains a galactic/intergalactic portal), February 5th 2019. Just feel the unity, the steadiness, the harmony in this formation. All of this, and so much more, embraces the Solar System and the Earth. Know that all is well, as we continue into this next stage, and keep your heart and focus aligned and immersed in visions and joyful co-creations opening the New Earth energies, while naturally radiating love as the inner Sun you are to all that appears out of alignment, without fixating on old energy constructs and dynamics. Ground yourself often with the Earth, feel love flowing freely like a golden Infinity between your heart and Gaia’s crystalline light-heart at the centre of the planet. Be gentle to all people and all animals; empathy, kindness, and peace in thought, word, emotion and action converges the higher dimensions into our lived reality. Care for the plants and trees around you, attune to their vibrations, the great green network around the planet that connects the ‘above and below’, the subtle light frequencies with the chi/life energy flowing through the Earth’s meridian network of etheric flow-lines, the inner prana streams. If you don’t at this stage in your journey see, hear or feel the presence of elementals, gentle nature spirits, the crystal soul collectives, or our higher dimensional star families and other assisting ones, know that they are here, and live as though all loving beings are as clear and present as if this planet is already ascended. Star family have shown many red orbs, often close to Canopus, this last week, bathing in the calm radiation of Divine Order, softening and lifting repeatedly into peachy rose-gold and white vibrations, representing the ongoing stream of next level ascension light flowing since the Eclipse. Huge symbolic Blood Moon Eclipse orb next to Canopus, February 5th 2019. These orbs showed in photos graduating from peachy-red through pink to white around Canopus, on February 7th 2019. Orbs also showed clearly in daylight hours on February 7th, projecting from lightships, as in the photo below, with two long rectangular Pleiadian ships just visible at the upper left of the frame, with a large, beautiful orb of very soft rainbow colours representing the ‘second Earth/Avyon’ in the Alta Mira region of the star Alcyone, closely connected at a ‘divine template’ level with the ascending Earth (and from whom Gaia receives ‘goldenprint’ template codes through several Pleiades-aligned nodes around her planetary body). Also on February 7th, the Meri’Ashar flashed very brightly right beside Canopus, with an intricate orb cluster of ‘galactic arrivals’ above. The bright ‘dome’ orb below reveals a group of smiling faces, and the beautiful iridescent lightship on the right hails from Apus (the Bird of Paradise constellation), close to Alpha Centauri and Pavo (the Peacock)…with the big orb in the cluster above showing Apunian and Pavan merged energies. Here are a few more orbs from February 7th-10th, 2019, showing the incredible variety of soul group energies gathered around Canopus over those few days (of Earth time). We are Spirit having a human experience. Let the Spirit flow through your conscious awareness, into everything you do, feel, speak, no matter how small or ‘seemingly mundane’, into how you be ~ be here ~ in every moment, and the world will be ever more nourished, enriched and enlivened by your very presence! *With love and gratitude to Daniel B. Holeman, artist of the ‘Sword of Truth’ picture at the top of this post, which we recommend as a symbolic image to meditate with, for clearing and fine-tuning the inner eye’s vision and aligning it with the heart’s intuition.